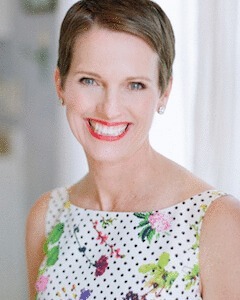 Hollye Jacobs is a speaker, nurse, social worker, child development specialist, and author of The Silver Lining: A Supportive and Insightful Guide to Breast Cancer. Diagnosed with breast cancer in 2010, she speaks publicly and writes about her experience on the award-winning blog TheSilverPen.com. Previously, Hollye worked as an educator, clinician, trainer, and consultant at the City of Hope National Medical Center, the University of Chicago Children’s Hospital, the University of Chicago Pritzker School of Medicine and Northwestern Memorial Hospital. Hollye has extensive experience speaking nationally on a family-centered approach to working with families facing life-threatening illnesses, bioethics, and grief/bereavement. Her professional knowledge as a health practitioner and her personal experiences as a cancer patient and survivor present a powerful wisdom package. People benefit from her insights, humor and informed perspective on the breast cancer cycle—from detection through treatment, recovery, and life after cancer. Hollye received her MS in Child Development from the Erikson Institute as well as her BSN and MSW from Loyola University Chicago. She completed training in the Educating Physicians on End-of-Life Care (EPEC) program, the Palliative Care Program at Harvard University Medical School and a post-doctoral fellowship at the MacLean Center for Clinical Medical Ethics at the University of Chicago. Hollye currently serves on the Board of Directors of Dream Foundation, the first and largest national non-profit focused on fulfilling the dreams of adults facing life-limiting illness as well as the Friends Committee of the Costume Institute of the Metropolitan Museum of Art.